Over the last couple of weeks, I personally have received a handful of potentially dangerous calls from a number that is showing up as “Technical Support” on my phones, likely because I have Verizon Wireless service. The phone number associated to that “Technical Support” is (800) 922-0204 and just so happens to be an official Verizon customer service number (seen here), hence the reason it is showing up as if it were already a contact of mine. The calls I’m receiving tell me that I have received a special reward of $54, and that to receive the payment, I need to login to www.verizon54.com. They even toss in a, “because at Verizon, we care about you,” line to help seal the deal. 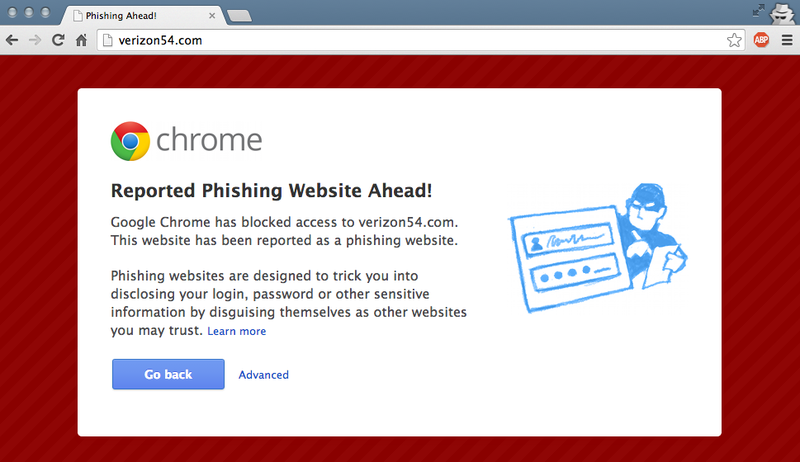 As you can see at the top of this post, Google has already flagged the site as a phishing site and warns you not to enter should you try. If you do, and actually provide your login info, the scammers could use that info to do all sorts of damage, starting with accessing your Verizon account.